Innovations in medical technology aim to improve patient safety and the quality of patient care. Robotic technologies in minimally invasive procedures are examples of these innovations. Currently, robotic-assisted surgical procedures are performed in several disciplines, including general, cardiothoracic and urologic surgery. 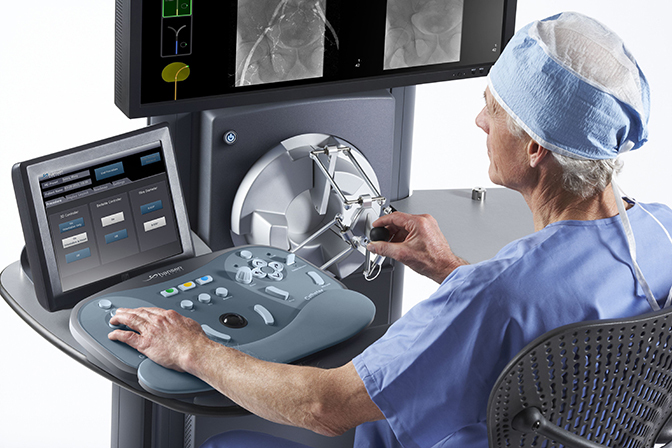 Robotic assistance in interventional radiology procedures is gaining traction rapidly. An emerging clinical practice is closely following the growth of the robotic interventional healthcare industry. This industry is focused on revolutionizing how interventional procedures are performed. Currently, robotic assistance can be combined with ultrasound, magnetic resonance imaging (MRI), computed tomography (CT), and fluoroscopy. The advantages of robotic assistance in interventional procedures with these modalities are clear: greater operator precision and control. This improved accuracy can lead to reduced procedural time, radiation exposure, recovery time, procedural complications and mortality. An additional advantage is remote operator use. Tele-operation can reduce radiation exposure to the operator and also afford remote patient access. The latter could be of value when operator assistance is needed. As with all innovations in health care, quality control and assurance measures will be required. These include guidelines on appropriate use, technical performance, and physician and technologist training. Through these measures and continued research and development, the future of interventional radiology will be defined by safe clinical use of robotic technology. During strategic planning sessions in 2016, interventionalists and healthcare administrators should embrace this exciting innovation for its ability to enhance interventional radiology and the care of patients. Anzidei M, Argiro R, Porfiri A, Boni F, et al. Preliminary clinical experience with a dedicated interventional robotic system for CT-guided biopsies of lung lesions: a comparison with the conventional manual technique. Eur Radiol. 2015;25(5):1310-1316. Lu WS, Xu WY, Pan F, Liu D, at al. Clinical application of a vascular interventional robot in cerebral angiography. Int J Med Robot. 2015; Mar 17 (Epub ahead of print). Wottawa CR, Genovese B, Nowroozi BN, Hart SD, et al. Evaluating tactile feedback in robotic surgery for potential clinical application using an animal model. Surg Endosc. 2015 Oct 30 (Epub ahead of print). Hellenger JC. 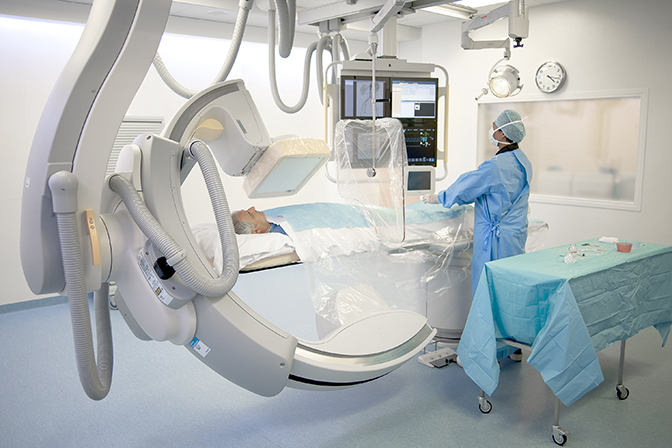 Robotic-assisted interventional radiology. Appl Radiol. 2016;45(1):28-29. Dr. Hellinger is the Director of Interventional Radiology, Lenox Hill Radiology and Medical Imaging, New York, NY.